Does Working in HVAC Require a Degree? Who Needs What Type of Diploma or Degree? The HVAC industry is in constant need of hard-working and qualified professionals. Some install new HVAC systems and maintain, upgrade and retrofit existing ones. Others design equipment and entire systems, from residential through huge commercial systems. This is an industry that is virtually recession-proof. No matter how the economy is doing, people still need to keep their buildings comfortable. Depending on whether you wish to become an HVAC technician or an HVAC engineer, you will have to choose the right courses, certifications and degrees. This article will help you decide which career is right for you. We’ll give you the information you need to make an informed choice about the education you should get. Being an HVAC technician or engineer are essentially two separate careers. The HVAC technician’s job is to install and troubleshoot systems that are used to control internal temperature and air circulation. They usually complete a postsecondary educational program. This could be a trade or vocational school, a junior college or a professional apprenticeship. However, if desired, they can go for a two-year Associate degree in HVAC. 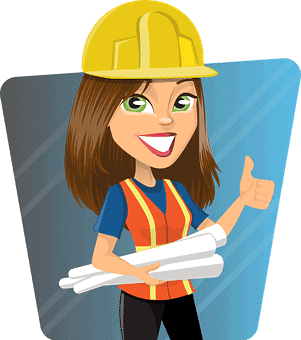 The HVAC engineer’s job can also include the design, installation, maintenance, and repair of HVACR systems. They need solid problem-solving skills to ensure the HVAC systems meet the client’s requirements. HVAC engineers will require at least a 4 year BS degree. HVAC engineers can also obtain professional certification through the American Society of Heating, Refrigerating, and Air-Conditioning Engineers in their chosen specialty. Because HVAC technicians install and repair HVACR systems, they require a different set of skills than engineers. Certificate programs in vocational schools provide a mix of theory and practical hands-on experience, so these are very helpful. Techs may specialize in installation or repair, and certain types of systems or equipment. They may also be responsible for selling maintenance contracts to customers. In this case, a bachelor’s degree in business or sales may help a technician make the transition to owning his own business as a contractor. While HVAC techs need to understand some math for making calculations, engineers usually need a higher level. HVAC engineers can design systems for HVACR. They may also meet directly with clients, work with engineering colleagues like management, installers and repair technicians, design new systems or find solutions for existing system problems, and prepare estimates. They can work for consulting or design firms, government agencies, facilities offices, or HVAC-equipment sales offices. HVAC engineers usually study HVAC theory and application, advanced math, physics, HVAC system analysis and design, and mechanical engineering. They also require computer and communication skills, computer-aided design (CAD) training, and a strong attention to detail. Depending on what HVAC career path you opt for, you may require different degrees or certifications. Often these certifications can help you distinguish yourself from competing applicants for a job. You could do a 9-to-10 month diploma program in HVAC from a trade school or community college. Such programs give you the basic theoretical and practical knowledge you need. Online courses and flexible hours make studying convenient if you’re working. You can also get hands-on experience in the program, and sometimes even count that time toward apprentice hours. This two-year HVAC degree will get you a diploma and foundational understanding of basic HVAC concepts. It will also give you a leg up on the competition against other entry-level techs. It requires a high school diploma or GED. There are several accredited online programs available for this degree, although many do require some hands-on experience as well. Possible jobs include HVAC mechanic, technician, sales consultant, maintenance, air conditioning tech, refrigeration tech, etc. A four-year degree can prepare you better for the business side of the HVAC business. You can take courses to help prepare you to work as a hands-on technician in addition to filling managerial roles. This may be suited for people more interested in the communications and project management aspects of HVAC. It leads to jobs such as project manager, facility manager, HVAC supervisor, technician etc. Someone looking to work as an HVAC engineer normally pursues a Mechanical Engineering degree. A BS in ME will prepare you to work with thermodynamics, refrigeration systems, and heating technology. HVAC related jobs after this degree can include mechanical engineer, field service engineer, design engineer, inspector, etc. Instead of paying thousands of dollars for a course or degree program, you can choose to become an apprentice. This is both economical - it can save on fees while you also get paid - and also guarantees a good career at the end. In an apprenticeship, you work alongside and under the direction of a mentor who is an expert in the trade. The master makes you dive into the deep end by putting you to work under his guidance. This on-the-job training bypasses the college or vocational school that you’d otherwise attend. Many trade school or college programs also require you to work as an apprentice, so you get the best of both worlds. After the apprenticeship is over, you may take the certification exams and become a licensed journeyman in the HVAC field. Apprenticeships programs can take up to five years to complete. They include thousands of hours of supervised work on job sites and hundreds of hours more in the classroom. You can learn more about the apprenticeship pathway here. If you wish to practice in the HVAC profession whether you are a technician or an engineer, you’ll need to adhere to state and national policies for certifications and licenses. Most states require technicians to become certified and even more require contractors to be licensed. HVAC techs get licensed and certified by passing exams, and often need to fulfill some work experience requirements. Be sure to learn how HVAC licensing and certification requirements work throughout the US. In addition, the federal government regulates certification in the Code of Federal Regulations Section 608 of the Clean Air Act. 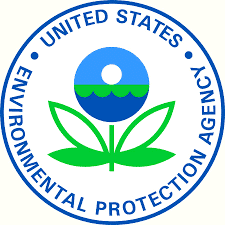 This means that anyone who will work with refrigerants that can harm the ozone layer must pass the EPA certification. To stand out from the pack, you can also attain the NATE (North American Technical Excellence) certification. NATE is a primary organization that certifies technicians. HVAC Excellence is another agency that is accredited as reputable among those in the industry. Engineers are not entirely exempt from certifications and licenses. The National Society of Professional Engineers governs the Professional Engineer certification. 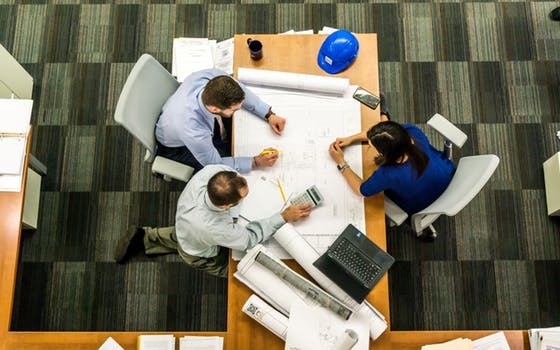 The PE means that as a licensed engineer, you may legally prepare, sign and seal, and submit engineering plans and drawings to a public authority for approval. Or you can seal engineering work for public and private clients. This requires engineers to earn a four-year degree in engineering from an accredited engineering program, pass the Fundamentals of Engineering (FE) exam and complete four years of progressive engineering experience under a PE. Finally, they must also pass the Principles and Practice of Engineering (PE) exam. In general, HVAC engineers can expect to earn significantly more than HVAC technicians, as you might expect from the higher education requirements and demanding nature of their jobs. An entry-level HVAC Service Technician with less than five years of experience may earn around $38,000, while a technician with 5 to 10 years of experience may earn around $47,000. An experienced HVAC Service Technician with 10 to 20 years of experience can expect to earn around $53,000. An HVAC Service Technician with greater than 20 years of experience can expect to earn $59,000. Of course, that varies a huge amount by state and city. An entry-level HVAC Mechanical Engineer with less than 5 years of experience may earn $61,000. An HVAC Mechanical Engineer with 5 to 10 years of experience may earn around $76,000. An experienced HVAC Mechanical Engineer with 10 to 20 years of experience can earn around $78,000 and one with greater than 20 years of experience can earn around $82,000. The HVAC industry is growing quickly and has plenty of opportunities for both engineers and technicians. However, you’ll need to decide which career path suits you. Keep in mind that technicians earn less than engineers at every stage in the career, but they also get to work with their hands and can get hands-on training for free through apprenticeships. Engineers need to complete their BS degrees in order to practice as engineers. Both fields may also require additional licenses and certifications. Two distinct careers but both offer great prospects if it’s what interests you and meets your qualifications!